With the Cradle of Humankind found in modern-day South Africa and some of the oldest learning centers in the world spread across the continent, there can be no argument that Africa is the very root of human civilisation as we know it. From her fertile soils, societies were formed and homo sapiens spread across the globe, leaving empirical legacies in the form of Aztec and Mayan ruins in the Americas to remnants of the Roman Empire which we see dotted across Eurasia. That said, there were plenty of African kingdoms and empires spread out across the continent, too; regional and political powerhouses much like those that fill our history books today. Ancient Egypt is perhaps the most famous of all, but the hubbub around it sorely overlooks other impressive civilizations and the effects they had on the continent. Let’s take a look at some of Africa’s most notable empires and civilisations. Also known as the Kingdom of Aksum (or Axum), this ancient society is the oldest of the African kingdoms on this list and is spread across what is today Ethiopia and Eritrea in an area where evidence of farming dates back 10,000 years. The Aksumites were key players in the commercial trading routes which existed between the Romans and Ancient India and they were considered one of the four great powers of their time alongside China, Rome, and Persia. The Aksumites erected several stelae (stone wooden slabs acting as monuments in pre-Christian times) during their reign but one of them is the most famous of all. Standing at 79 feet, the Obelisk of Axum is approximately 1700 years old and is found in present-day Axum, Ethiopia. Later, when the Aksumites converted to Christianity, they unwittingly created the foundations for Ethiopia’s Orthodox Church. 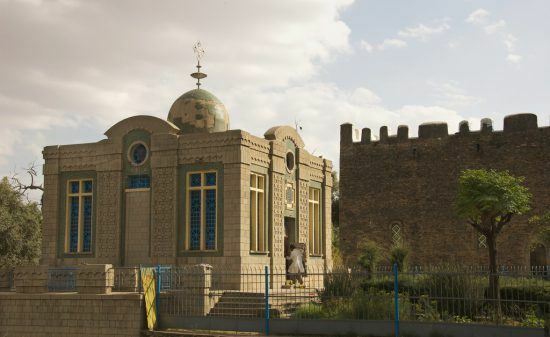 Today, Axum is also the rumoured resting place of the Ark of the Covenant. More commonly known as Wagadu, this kingdom was an important stop along the trans-Saharan trade route which connected African societies in the Sahel to the markets found along the coastlines of the Mediterranean Sea and the trans-Saharan gold trade. Although its capital city was said to have changed several times, one of these, Koumbi Saleh, was the biggest city south of the Sahara Desert. At its peak, it was home to between 15,000 and 20,000 people – a phenomenal population for a city which had a limited water supply. They specialized in the trade of gold and kola nuts (the latter of which became the secret ingredient in Coca-Cola centuries later). The Kingdom of Ghana’s decline was cemented when it became part of the kingdom of Mali around the year 1240 CE. It makes sense that our next entry comes after the Kingdom of Wagadu given that, in its decline, it was eventually annexed by the Kingdom of Mali. 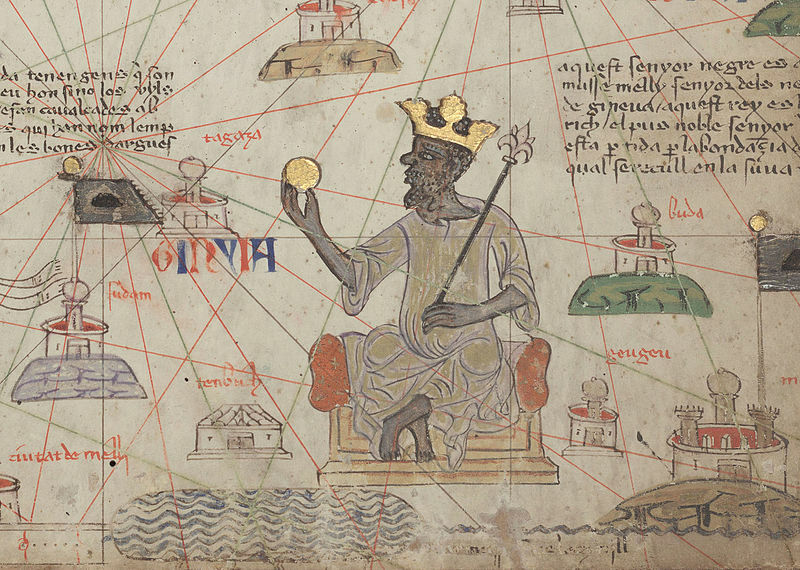 While the Ghana Empire traded in gold, the Malian Empire actually minedgold from its mines which, by the end of the 1200s, was the source of approximately 50% of the Old World’s gold supply. 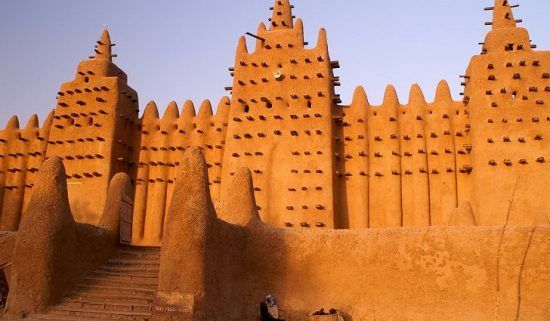 Of all the African kingdoms on this list, the Malian Empire’s most famous ruler, Mansa Musa, was the richest – even by today’s standards. He is regarded as one of the wealthiest people in world history with records suggesting that Mali was the largest producer of gold on Earth during his reign. 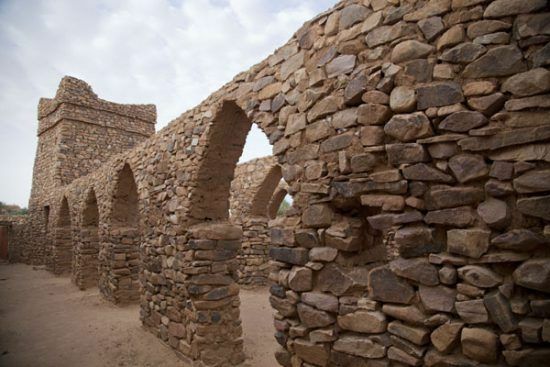 Lauded as one of the largest states in history on the continent, you’ll probably know the Songhai Empire at the mention of one of its most prominent cities: Timbuktu, which was one of the most important learning centers in the region. Academics and skilled workers came from all over the continent, the Middle East, and even as far afield as Spain to study and work there. The Songhai Empire rose out of the decline of the Mali Empire and was responsible for expanding and controlling several important trans-Saharan trade routes at the time. The Kingdom of Zimbabwe’s modern-day claim to fame is its capital, Great Zimbabwe, a UNESCO World Heritage Site. The city was home to around 18,000 people at its peak and spanned across an area of 7km2. While the kingdom’s heyday was from around 1220 CE onward, archaeologists estimate that the start of the kingdom was as early as the 11th century. This civilization had a monopoly on the trade of gold and ivory from the southeastern coast of the continent to the interior and were famed miners specializing in minerals such as copper, iron, and gold. While the success of the Kingdom of Zimbabwe led to the decline of Mapungubwe, Great Zimbabwe’s decline saw the rise of the Kingdom of Mutapa, the next entrant on our list. 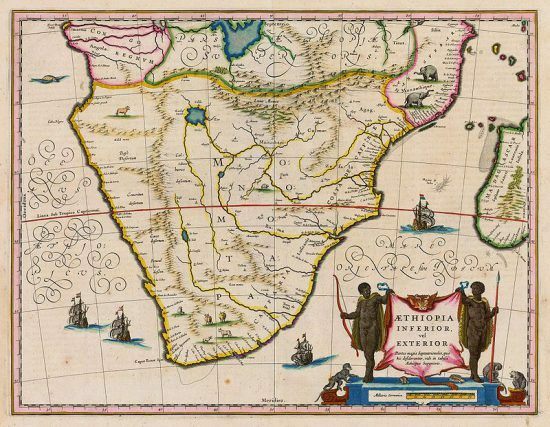 The Mutapa Empire encompassed a truly staggering portion of Southern Africa, from the Limpopo and Zambezi Rivers to the Indian Ocean coastline. Its territory was so large that if it were around today, it would stretch across parts of six Southern African nations. Legend has it, a warrior prince from the Kingdom of Zimbabwe established the Kingdom of Mutapa. 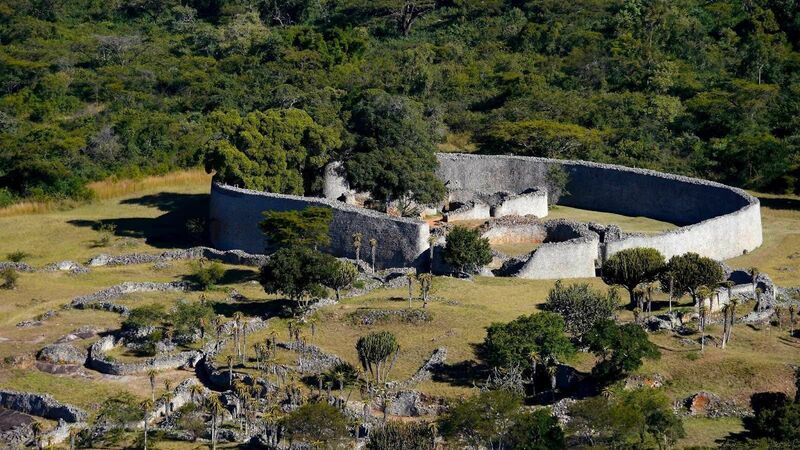 Within a generation, Mutapa eclipsed the glory that was Great Zimbabwe and its surrounds. The Portuguese unwittingly became middlemen between India and the Mutapa’s smaller kingdoms in their bid to control trade in the region (which was also fueled by rumours that the biblical mines of King Solomon were held by the ruler of Mutapa). The Kingdom of Mutapa wielded such power, they acquired a subsidy from every captain who took office in Portuguese Mozambique and they imposed a 50% tax levy on all trade goods imported. Sadly, the kingdom’s decline began in the early 17th century due to factional in-fighting which gave the Portuguese an opportunity to make Mutapa a vassal state. Kingdom of Mutapa as seen on a map. 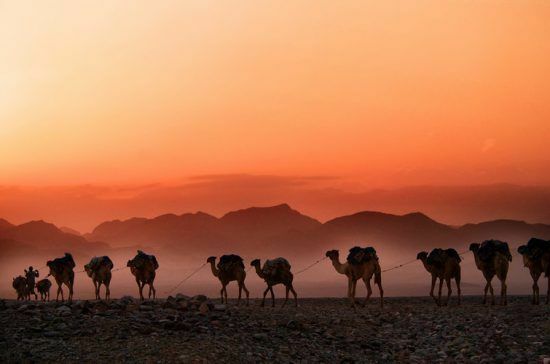 Stretching from the Middle Ages all the way to the Cold War, the Ethiopian Empire (or Abyssinia, as it was also known) is the longest lasting of the African kingdoms on this list. It survived some of the most tumultuous events in modern-day history. It resisted various enemies attempting to encroach on its territory, from the Ottoman and Italian armies to the Egyptians, and some of its rulers are said to have been descended from King Solomon. During the Scramble for Africa which saw European powers asserting colonial authority across African territories, Ethiopia successfully fought off and defeated Italy in the First Italo-Ethiopian War. The empire’s decline began when they lost the Second Italo-Ethiopian War in 1935 and the monarchy was abolished in 1974 by a military junta. 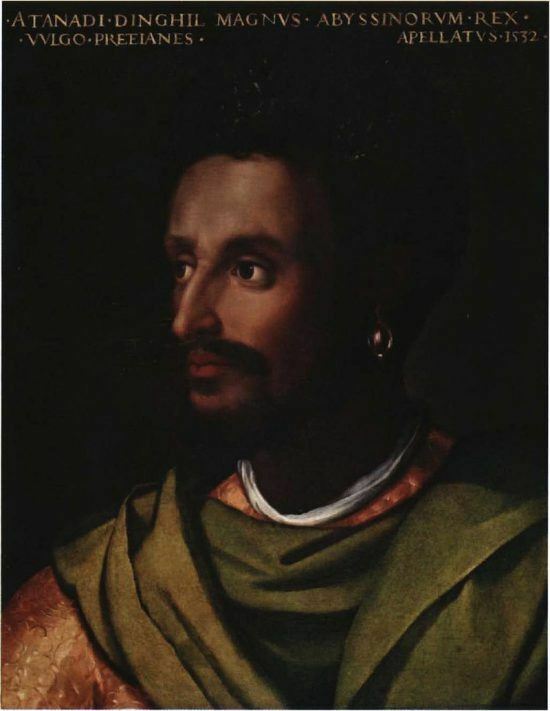 Dawit II, Emperor of Ethiopia, part of the Solomonic dynasty (a dynasty who claim to be descendants of King Solomon and the Queen of Sheba). Before European powers divided the African continent during the Scramble for Africa, the modern-day countries of the Democratic Republic of Congo and the Republic of Congo both formed part of the Kingdom of Kongo. Although the kingdom’s precise boundaries are uncertain today, this empire did eventually stretch into both modern-day Congos and Angola under the leadership of a Kikongo warrior, Luken Lua Nimi, whose military and political prowess dominated central Africa for centuries. 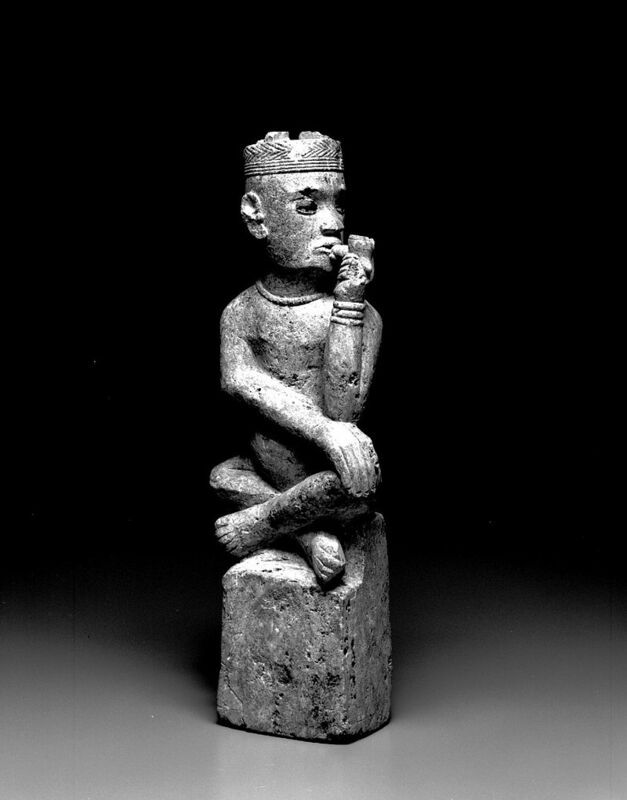 Kongolese society was a quasi-feudal one and its economy was fueled by trade routes following rivers in the region and dealing in textiles, pottery, copper, and ivory. Found in modern-day Nigeria, the Benin Empire was considered one of the oldest and most developed states in West Africa until its annexation by the British Empire. Famous artisans crafted masterpieces from ivory, bronze and iron. 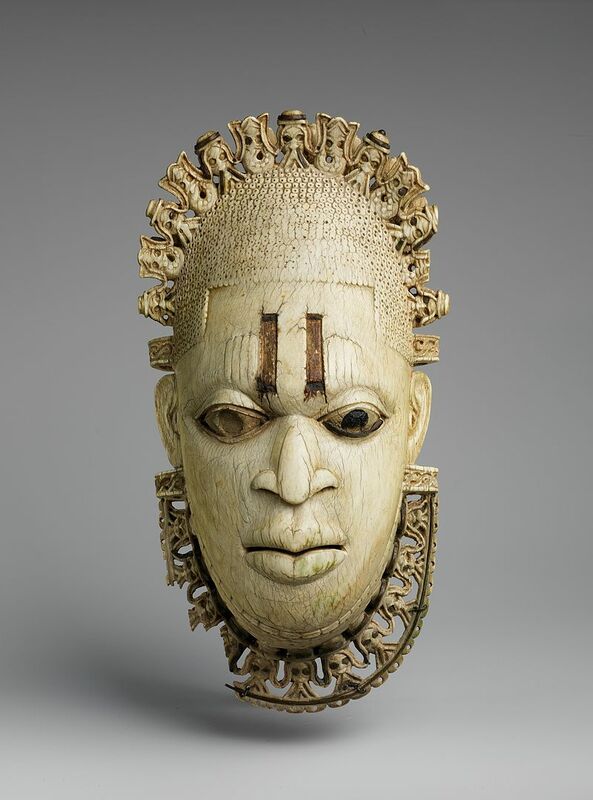 The Benin Empire had a strong trading relationship with the Portuguese, exchanging palm oil, pepper, and ivory for Manilla (a form of currency used in West Africa) and firearms. The relationship even saw an ambassador visit Lisbon in the 16th century. Britain’s first expedition to Benin occurred in 1553 and a mutually beneficial trading relationship existed throughout the 16th and 17th centuries until Benin suspected Britain of making controlling advancements. Dutch, British and Portuguese explorers brought numerous tales back to Europe of the beauty, wealth and sophistication of Benin. Benin bronzes: Will Britain return Nigeria’s stolen treasures?